Software News tagged "Order Management"
Version 3.0 of marketplace management tool SureDone includes an enhanced order management system. "We gathered hundreds of customer recommendations and combined them with our own industry expertise to create a next generation order management system," said Jason Nadaf, Founder and CEO of SureDone. "More than robust order management within our application, SureDone can now facilitate real time decisions for optimized fulfillment based on cost, time in transit, drop shipping rules, and more for intelligent automated commerce." Among the new features is comprehensive drop shipping support. Orders may be automatically tagged with drop shipping attributes such as distributor name and costs, and purchase orders can be sent to a drop ship provider in a variety of formats. Tracking information can be automatically imported and sent to a marketplace - all without the need for seller interaction. Other features include the ability to combine multiple orders to reduce shipping costs, order splitting, and support for multiple shipments per order so partial orders can be shipped or multiple destinations can be managed. With support for major shipping carriers, SureDone now prints shipping labels reducing the need for external software. Orders can be created and managed in bulk and SureDone will also support return and refund management shortly. "Our new order management system is focused on providing massive gains in productivity through new features, process improvements and automation," said Chris Labatt-Simon, Executive Vice President at SureDone. "We can lower costs and time spent per order, yet still improve customer service levels for your buyers." "These foundations will lay a backbone for the upcoming release of our machine learning based commerce engine," states Nadaf. "All of these components are designed to enable smarter and more efficient selling while decreasing costs and improving profitability." Order management solution Ordoro has added support for warehouse management system (WMS) 3PL Central. Connect 3PL Central with Ordoro, ensuring compatibility with hundreds of potential warehouses and 3PLs that use the system. View inventory in a 3PL Central-using warehouse or check available product carried by a supplier that uses the system. Automatically relay full or partial orders from the app to 3PL Central, and have tracking information sent back and posted to sales channels once they're fulfilled. The latest release of order management solution Freestyle OMS provides new APIs to allow customization, extension and easy integration of third-party applications. Clienteling, which allows store associates to look up customer records and provide access to an extended range of products. Improved promotions capabilities, with a diverse set of new promotion types. Complex pricing to allow specialized price tiers, loyalty programs and customer groups. Extended import/export for fast upload and download of data. "Freestyle O.M.S. is built on a modern, multi-tenant cloud architecture, so that it is inherently open, flexible and scalable," said Fred Lizza, CEO, Freestyle Solutions. "With this release, we are now taking it to the next level, adding sophisticated new functionality to an already solid foundation for order and inventory management. Freestyle O.M.S. is an ideal solution for mid-market retailers and online merchants who need enterprise functionality at an affordable price." Ecommerce management system SalesWarp has released a new order management extension for Magento. SalesWarp Order Manager is available for download from Magento Connect for retailers using Magento Community Edition. The plugin, which includes a 30-day free trial of SalesWarp, enables retailers to quickly update orders and inventory information while managing their pick, pack, and ship process. Ecommerce management system SalesWarp now has an app available on the Magento Connect marketplace. The SalesWarp Order Manager Extension provides access to SalesWarp's order management system with a 30-day free trial. "SalesWarp is designed to simplify multi-channel selling by eliminating time-consuming and manual processes associated with eCommerce operations," said SalesWarp CEO and Founder David Potts. "Our SalesWarp Order Manager Extension can help small and medium-sized retailers automate their order and inventory management processes, helping them handle more order volume in less time without increasing costs." SalesWarp's allows retailers to quickly update order and inventory information and manage pick, pack, and ship processes. Retailers can use SalesWarp's built-in shipping tools or connect their existing shipping software. UK order management tool One Stop Order Processing now has monthly pricing for its higher-level plans. The new prices are £35 a month for Standard Plus and £55 a month for Premium. There is no contract, no setup fee and no minimum term. The Standard and Standard Plus plans both support a maximum of 5 users and 500,000 orders, while Premium supports up to 15 users and 1,000,000 orders. Order management solution Ordoro has partnered with supply chain tech company TPSynergy to provide EDI compatibility in Ordoro. EDI is a business-to-business data exchange standard used by many large retailers including Target, Walmart and Amazon (in its Vendor Central system). The EDI functionality in Ordoro enables its users to sell to those large buyers and use EDI to process purchase orders, and send shipment notices and electronic invoices. EDI orders are shipped using Ordoro like any other orders, and shipment details and invoices sent back automatically to the customer via TPSynergy. Version 5.2.11 of open source ecommerce platform X-Cart has a number of new features, including enhanced order management. In the X-Cart order management module, the store administrator can now print order packing slips, edit customer notes and select an offline payment method for specific orders. Order search filters can be saved and re-run with one click, and orders can now be searched by SKU (or several SKU's separated by commas). Transaction ID is now displayed both on the customer invoice and on the order details page to make order search easier, and payment gateway call back details are now shown on order details. A new unfinished orders module (in paid editions of X-Cart) enables tracking of orders where payment was not completed successfully. The import/export tool can now export products, orders, and users from the results page. A new import mode allows users to update existing items only without creating new items in the database, and in paid editions inventory can be updated in bulk with a simple CSV containing SKU and quantity columns. Order management tool Ordoro has added support for payment processor Square. Square provides a point-of-sale system (POS) system for making in-store sales. Retailers can use Square to sell in person at their own brick and mortar location, or at events such as a local festival or convention. Ordoro can now receive order information from Square for processing and fulfillment. Ordoro has also been updated to alert users when their Endicia balance is low, and allow quick top-ups even while creating a label, if necessary. Australia Post and OnTrac are now supported by Ordoro for adding tracking numbers to orders. OnTrac is a US shipping company operating in eight of America's westernmost states, from Arizona to Washington. Order management system Ordoro has added support for Amazon's order fulfillment service FBA (Fulfillment by Amazon). When a consumer purchases a product stored with FBA, Ordoro will automatically send the order to Amazon for fulfillment, and send the tracking number back to the ecommerce platform being used. Ordoro also synchronizes stock levels with FBA, and has configurable rules to determine which products are to be shipped from FBA. Ordoro can also be used to send orders to other 3PL fulfillment centers. Order management software Ordoro has added new features including bulk USPS shipment scan forms, and bulk generation of purchase orders. Instead of having to scan each individual shipping label, Ordoro users can now print out a single, end-of-day Endicia scan form that bundles all shipments into a single barcode. The USPS can scan the code, and their systems will update all of the orders at once. Ordoro's PO feature is faster and more responsive, and can now create POs in bulk. Stock levels are automatically updated when incoming products are logged in the system. Discounted international rates for new users, and rolled out to existing customers during August. Support for eBay's Global Shipping program. Users of Ordoro Enterprise can now automatically sync inventory and orders every 10 minutes, instead of every hour. The latest release of marketplace management tool ChannelAdvisor Marketplaces includes automatic order tagging and a new "All Sales" page. Order tags are ChannelAdvisor system-generated tags used to help identify orders. They are color coded, searchable and filterable within the new All Sales page, currently in beta. Generated order tags include Amazon Business, Amazon Merchant Prime, eBay Click and Collect, eBay Global Shipping Program, and more. A report on "orphaned" inventory items sent to Amazon FBA but not listed on Amazon. A check for prohibited keywords before listing on the AliExpress marketplace. Order management tool Ordoro has launched a new analytics feature. Ordoro's Advanced Analytics compiles sales, shipping, and inventory data across all sales and supplier channels, to provide reports on quantity sold, shipping costs, and more. Users can segment data by supplier and sales channel. Advanced Analytics also allows reporting on the top customers and products by sales and supply channels, and revenue by geographic region. Inventory and channel management solution Ecomdash has a new module which routes orders to Amazon's FBA service for fulfillment. Ecomdash for FBA can route orders from any supported sales channel, including eBay and Etsy, to Amazon FBA. The tool is an optional add-on priced at $20 a month. Within ecomdash, merchants first select which products are held by FBA. Then as sales orders are collected and organized from each sales channel, ecomdash identifies and routes the appropriate sales order details to FBA automatically. Once Amazon fulfills and ships the order, ecomdash automatically obtains shipping and tracking information, and then communicates it to the buyer via the channel where the purchase occurred. "We're thrilled to offer our retailers greater control, accuracy and efficiency within their order fulfillment workflow," said Kevin Loomis, in charge of product development at ecomdash. Though it wasn't initially planned for completion in 2015, ecomdash engineers worked overtime to create the order routing for FBA software. "We've seen a significant increase in the number of multichannel sellers using FBA over the last year or so. Our goal is to meet, exceed and stay ahead of the needs of our customers," Loomis said. Ecomdash is currently running a special offer now through mid-July to allow both new and current users the opportunity to try the order routing for FBA app at no additional charge. Marketplace and inventory management tool Sellbrite has integrated with popular order and shipping management solution ShipStation. The integration enables sellers to pass orders from Sellbrite to ShipStation, create shipping labels in ShipStation, and pass shipment information (ship date, carrier, tracking number) back to Sellbrite and the source sales channel automatically. Order management solution Ordoro has launched a new rules-based configuration system. Ordoro's new "automation rules engine" allows the creation of rules to automate shipping, order-management and other repetitive tasks. The initial release will include limited triggers and tasks, with more added in the future. Order management tool Ordoro has revised their pricing so their Basic shipping-only plan is now unlimited. Ordoro Basic plans now cover unlimited orders, sales channels and users for $25 per month, and provide access to discounted USPS postage. Breeze Order Manager can now print US Postal Service pre-paid shipping labels. Breeze Order Manager is a shipping tool for eBay orders and PayPal payments, and allows batch printing of packing slips, invoices, and address labels. Version 9 of Multichannel Order Manager (M.O.M.) has new features including wireless picking and a redesigned import/export. Other new features in M.O.M. v9 include lot tracking, and advanced product forecasting. The update helps customers streamline order processing, improve picking and packing accuracy, and enhance visibility of orders and inventory. Dydacomp CEO Fred Lizza said, "M.O.M. Version 9 and its complementary products add significant depth to a product already extremely popular with retailers. We've strengthened inventory management functionality for larger businesses, added key capabilities for nutraceutical companies, opened up the range of 3rd party eCommerce platforms supported and improved ease of use, scalability and performance." The enterprise edition of ecommerce management system SalesWarp has been independently evaluated and verified as an Order Management System by FitForCommerce. SalesWarp CEO & Founder David Potts said, "Achieving verification from FitForCommerce adds tremendous credibility and transparency to SalesWarp. With the FFC Verified seal of approval, more retailers will look to SalesWarp as a proven order management system that will actually meet their needs and expectations." Order management is one feature of SalesWarp and allows retailers to automate the fulfillment process and customize processes based on their specific business and operational needs. FitForCommerce is an ecommerce consultancy, and their verification process evaluates and validates technology provider claims. The FFC evaluation includes a checklist of over 80 features and a live product demonstration. Monsoon have released version 8 of order management software Stone Edge. The new version adds vendor management and multi-warehouse fulfillment functionality. Raymond Gilbert, director of software engineering for Monsoon Commerce, said "As eCommerce retailers grow and diversify, they need a solution that allows them to scale efficiently and profitably. With Monsoon Stone Edge v8, we introduce features that allow our customers to get the benefit of robust order management plus even greater support and functionality as they expand their operations." Stone Edge was acquired by Monsoon in 2011. Inventory and order management application Ordoro has introduced a new lower-priced version of its application with only its shipping features. The "Basic" version has been developed to provide a lower-cost option to new businesses. Writing on their blog, Ordoro CFO and co-founder Sangram Kadam said "We are excited to introduce Ordoro Basic: A shipping-only app, packed with the essential features that will help new merchants efficiently get their goods to their customers while allowing them to grow into using Ordoro Pro (our complete solution)." Order management tool M.O.M. has a new reporting and business intelligence module called Communiqué. Fred Lizza, CEO of Dydacomp, said "Communiqué for M.O.M. offers remarkable visibility into retail or fulfillment center operations, enabling our customers to make more informed and strategic business decisions related to orders and inventory to support their growing eCommerce needs." Inventory management tool TradeGecko has released changes to reporting, importing and currency support. Customizable columns on inventory, relationships, orders and stock control pages. A new spreadsheet product importer and more help with data cleaning. Reporting on sales by brand to help find best and worst performing brands. Improved error messages about any problems with third party integrations. Multiple currency support for the integration with the Xero accounting tool. Order management and shipping tool ShipStation has launched a new design and new features to help customize and streamline the shipping workflow. Each user has their own set of 5 open order batches, rather than sharing batches across users. Individual print settings for each user/browser combination. User-customizable order views to enable custom workflows. Live demo sessions have been scheduled on 1, 5 and 7 August. Order management tool ShipRush now supports open-source shopping cart Drupal Commerce. Drupal Commerce sellers who ship by FedEx can use ShipRush for free, while USPS postage is provided by ShipRush for Stamps.com at $29.95 per month. Following beta testing, order management tool Ordoro now supports the Etsy marketplace. The new integration includes the ability to automatically import orders from Etsy, update Etsy with tracking numbers and update stock levels on Etsy. Ordoro can also sync inventory across multiple sales channels, communicate with suppliers for restocking, and send drop shipment notices. Teapplix Shipping Automation now supports the popular Wordpress shopping cart WooCommerce. The software can download orders from WooCommerce, and upload tracking numbers back. Teapplix's QuickBooks Connector can download WooCommerce orders and export the data to QuickBooks. The integration does not import production information from WooCommerce, or push quantity updates to WooCommerce, but those features are planned for the future. Monsoon's Stone Edge order management tool now supports eBay management software SixBit. SixBit says that StoneEdge was a popular order management tool for users of eBay Blackthorne, many of whom have moved to SixBit following Blackthorne's retirement by eBay. A new version of order management software ShipRush includes support for the Miva Merchant shopping cart. ShipRush is free of charge for FedEx shipping and low-volume USPS shipping. ShipRush for Stamps.com is free for 60 days, then $29.95 per month. A new version of order management system ReadyShipper has been released, with a number of improvements to its speed and functionality. Speed improvements have been made to searching, sorting, and printing labels; multiple stores can now be added for the same ecommerce sales channel; and intregrations have been enhanced with QuickBooks, ChannelAdvisor, WooCommerce, Etsy and Endicia. "We conducted extensive open-heart surgery on ReadyShipper when creating our newest version for end users," said Daniel Koernke, President of Sales at TrueShip shipping software. "We opened it up, diagnosed any prevalent issues, remedied any known bugs, added a plethora of new features and tested it thoroughly for functionality. Version 7.2 has new guts; new glory. It’s the most advanced version yet." ReadyShipper makers Trueship have also announced that new subscribers will receive a complementary Stamps.com or Endicia account with their product subscription. Stamps and Endicia provide software for printing discounted USPS postage labels. Order management software ReadyShipper has created a plug-in for the Wordpress-based shopping cart WooCommerce. A video demo of the plugin is available below. Order management software Ordoro has started beta testing support for the Etsy marketplace. Ordoro has also been working on faster shipping label printing, support for FedEx International labels, and improvements to Bigcommerce, Shopify and Amazon integrations. The development roadmap now includes a feature which will automatically set the shipping method to be used for orders. An eBay listing add-on previously announced for order management tool M.O.M. has now been released to all users. "M.O.M. Auction Lister offers M.O.M. customers selling products over eBay a robust, new connectivity solution," said Fred Lizza, CEO of Dydacomp. "Early customers report that order processing and publishing tasks to and from eBay are simplified now that M.O.M. Auction Lister has direct access to the information in M.O.M. Dydacomp has delivered the ability for M.O.M. customers to sell products over eBay using the Blackthorne integration software for several years. eBay recently announced that solution will no longer be supported, requiring hundreds of M.O.M. customers to seek an alternative solution. M.O.M. Auction Lister is that solution." Ecommerce order management tool ShipWorks is now compatible with popular accounting package QuickBooks. The new integration is provided through a third party solution called Cloud Cart Connector, which synchronizes customers, inventory, products and orders with QuickBooks. "Many of our customers rely on QuickBooks to manage their accounting needs, so we believe this new integration with Cloud Cart Connector will help them immensely," said Wes Clayton, Co-CEO and COO of ShipWorks. "Cloud Cart Connector is highly praised by reviewers for its ease of use, its worldwide compatibility, and because there are no files to install." An online demo, getting started guide and trial sign up is available from Cloud Cart Connector. Ecommerce management software SalesWarp (Enterprise edition) now allows warehouse stock locations to be assigned to individual products. The new inventory management feature, developed initially for motorcycle parts retailer GearHead.com, assigns a precise location to each product. SalesWarp location barcodes can include up to a five levels of location detail such as warehouse, aisle, shelf and bin. The location categories can be customized and are separate from the product’s SKU barcode. The latest version of order management tool ShipRush has support for the WooCommerce shopping cart. WooCommerce is a popular shopping cart based on WordPress. ShipRush supports versions 2.0.2 to 2.1.X. Amazon and Magento order management tool Freestyle Commerce has finished beta testing and is now generally available. "After a successful beta program that far exceeded our expectations, Freestyle is now available to multi-channel merchants. Freestyle was built on our years of experience helping retailers rationalize their inventory and order management." said Fred Lizza, CEO of Dydacomp. "Taking the order and inventory management function to the cloud saves our clients’ money, enables them to fulfill orders faster through multiple channels and ultimately creates happier customers." Order management solution Ordoro has added support for Wordpress-based shopping cart WooCommerce. The integration is currently in beta testing. Interested sellers should apply to Ordoro to join the beta program. Ordoro has also released shipment tags, which allow retailers to categorize and filter shipments more efficiently, and better support for Magento servers with IP address whitelisting. Order management system ShipRush now works with the cloud-based version of popular accounting tool QuickBooks. ShipRush will automatically import invoices and sales receipts, and save tracking numbers back to QuickBooks Online. Dydacomp, suppliers of order management software M.O.M. have acquired ChannelBrain, the developers of a Magento-to-M.O.M. connector called BizSyncXL. Fred Lizza, CEO of Dydacomp, said "BizSyncXL is the perfect complement to our product portfolio, offering Magento users the connectivity tools to implement the most powerful order management solution to grow their online and offline businesses." 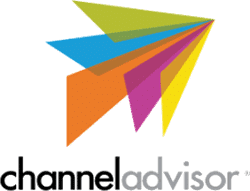 Gary McDougall, CEO and founder of ChannelBrain, will assume the role of Dydacomp's Vice President of Product Integration. Other ChannelBrain staff will remain with Dydacomp. Create and update products, inventory and prices directly from M.O.M. including image attachments. 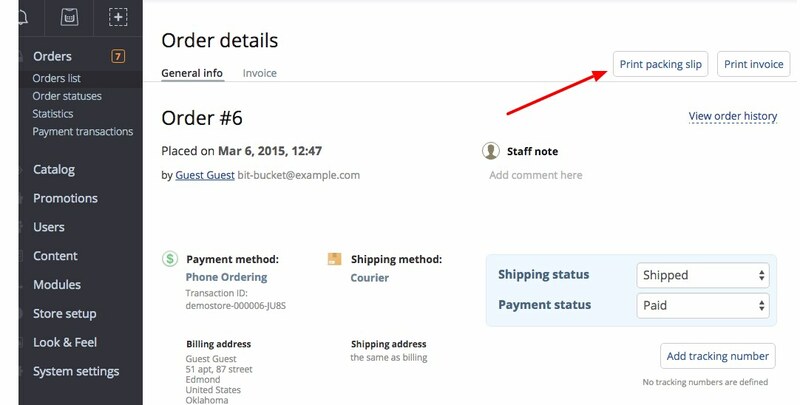 Order status integration: Update tracking numbers and status from M.O.M to your shopping cart. Automatically update price, quantity and product data. Order management solution ShipStation has added support for carrier and fulfillment service Newgistics. "Our partnership with Newgistics represents the latest expansion of the ShipStation offering," said Nathan Jones, CEO of ShipStation. "With this integration, we continue to aggregate the top e-commerce selling platforms and shipping providers into one solution helping e-tailers accelerate fulfillment and reduce costs." UK multichannel management solution Veeqo has added the ability to print packing lists. Packing lists are generated from a template which can be customised to include UPC barcodes. 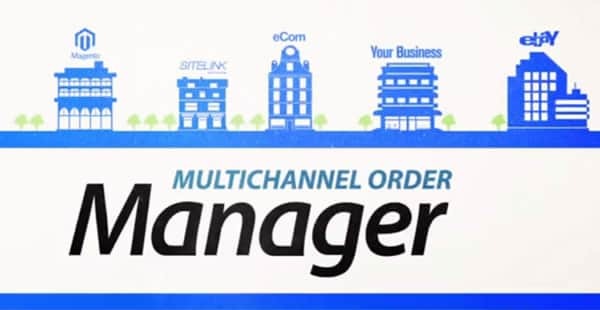 Order management tool Multichannel Order Manager (M.O.M.) has added support for PayPal’s Payflow Pro. Fred Lizza, CEO of Dydacomp, said "These upgraded and new PayPal offerings are designed to convert more visits into sales by offering customers a variety of payment options. In addition, these tools enable SMB merchants to get paid almost immediately. Our goal in fully integrating these PayPal solutions was not only to give merchants more payment options, but especially to automate the returns and refund processes that can be so time-consuming for our SMB retail customers." Payflow Pro lets merchants process credit cards using their own internet merchant account. Marketplace and order management system Linnworks has announced a number of changes and improvements in its November newsletter. New Linnworks sellers subscribing after 7th January 2014 will pay rates starting from £80+VAT per month for the Entry/Basic level (was £40+VAT per month). The price for Standard, Professional and Enterprise plans will increase by 50% to £180, £360 and £570 per month respectively. The starting price for Corporate subscriptions remains £1,999 per month. Prices will not increase for existing customers. Writing on the Linnworks blog, Head of Business Development Artem Verovenko, said "We know that no one likes price increases and we have worked hard to keep our prices below average for the last couple of years. We feel that this is a necessary change to reflect the increased capabilities of Linnworks, but will not be changing the subscription costs for existing customers unless they choose to move to one of the new plans, as we have always done." Linnworks has improved their integrations with carriers DPD and Interlink Express, and also with USPS label printing service Endicia. They now integrate directly with the suppliers' online services rather than through installed software. Finally, Linnworks is starting a new series of webinars each Wednesday, starting 20 November. The sessions will cover advanced topics, starting with Composition Items. The company also runs Getting Started Webinars on Thursday afternoons. For more information see Linnworks' upcoming events page. Order management app ShipStation has added support for shopping cart Miva Merchant. Features of the new integration include importing weights, images, gift settings and notes from Miva, and sending back shipping information. Miva Merchant is used by tens of thousands of online retailers. Fulfillment tool Stamps.com has won a People’s Choice Stevie Award for Favorite Electronic Commerce Solution. The People’s Choice Stevie Awards are part of The American Business Awards (ABA), and are decided each year by a public vote. More than 20,000 votes were cast in 34 product categories. Stamps.com also won a Bronze award for Best New Product or Service - Software - Electronic Commerce Solution. Order management tool ShipStation now supports the Prestashop shopping cart. ShipStation also recently added support for the Best Buy marketplace and Shopify's new POS (physical checkout) system. A new version of order management tool ShipWorks has been released. The update includes a scheduler which enables sellers to run tasks automatically at a predetermined time, and new API and FTP integration options - enabling integration with other applications and custom-built systems.